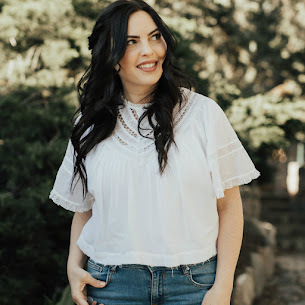 Janelle In Real Life: dresses and all things thursday link up! 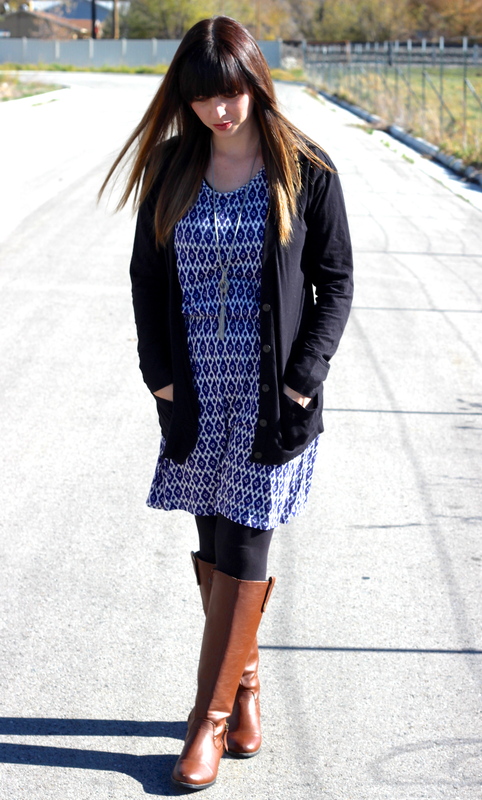 dresses and all things thursday link up! 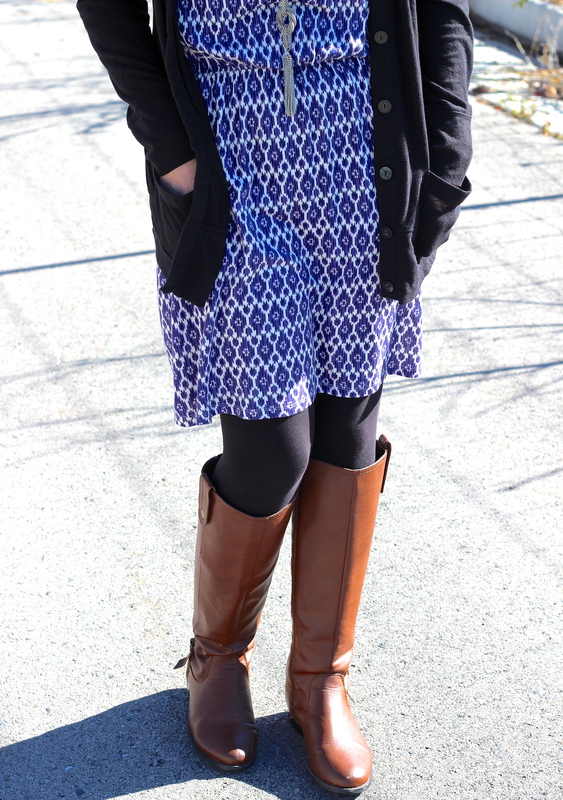 I just love the dress/leggings/boots combo. It's such a simple outfit but looks lovely and put together. Also... sorry about the really bad lighting in these photos. We ended up having to take them at noon which means all kinds of shadows and no good spots to take some piccys. Kati & Elise who host the All Things Thursday link up each week were so kind to feature me this week AND allow me to be a co-host! Follow along and join the link up! We are loving the Faux Fur trend for Fall and Winter! 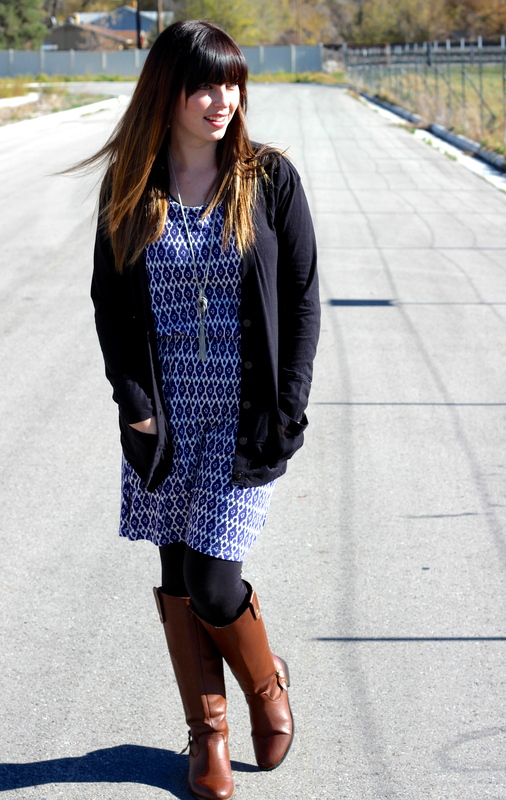 We can't get enough of how Ashley styled her fur vest (with pockets we thought we must add) with her striped dress. This is a perfect combo for that cooler Fall day. Janelle of Janelle in Real Life Mustard yellow is always the perfect color for any Fall day. We love how Janelle added her awesome graphic tee for that perfect touch of purple! What a cute and comfortable combo! I need more leggings in my life! Love this look.